Joyce Lafaye Crews, who lived a joyful and abundant life, passed away peacefully on January 25, 2019. Mrs. Crews, age 86, a native New Orleanian, daughter of the late Edward A. Lafaye and Thelma Solares Lafaye, sister of the late Beverly Lafaye Clark, and wife of the late Louis Sherwood Crews is survived by her five children, Louis S. “Woody” Crews Jr. (Barbee), Catherine Crews Courtney (Cory), Lynn Crews Solorio (Rudy), Beverly Clark Crews McQuaid (Andrew), John E. Crews (Marie) and her grandchildren, Louis S. “Chip” Crews III (Shannon), Steven Crews, Kaylyn Crews Burmaster (Adam), Beau Courtney, Cate Courtney, Elise Courtney, Grace Courtney, John Solorio, Patrick McQuaid, Catherine Shea McQuaid, Megan Barrios and the late Quinten Barrios, two great-grandchildren, Colin Crews and Catherine E. Crews, and many loving nieces and nephews. 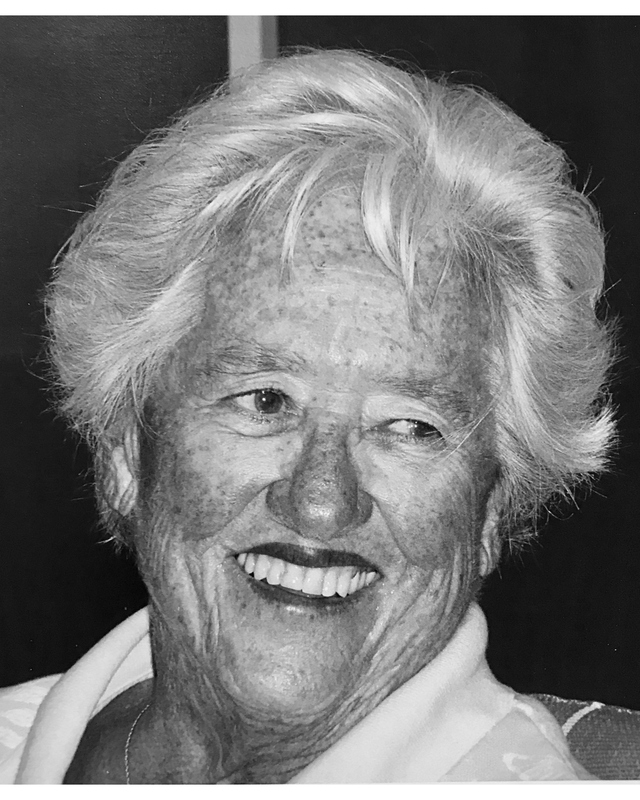 A devout Catholic and beloved wife, mother, grandmother, sister, aunt, cousin and friend to many, attended Ursuline Academy (class of 1950) and graduated from Marymount College in Tarrytown, New York (class of 1954). With a life-long commitment to Serviam, she was the President of the Catholic Women’s College Committee of the Archdiocese of New Orleans, the forerunner to College Night. She received an Outstanding Achievement award from the Ursuline Nuns and the Ursuline Cooperative Club for the successful publication of Recipes and Reminiscences of New Orleans Volumes I & II, which raised over three million dollars to restore the Old Ursuline Convent Museum. Mrs. Crews was also awarded the Distinguished Alumna Award in 1988. She taught first grade at St. Pius X School and coached middle school sports at Ursuline. An accomplished athlete in high school, college and beyond, she and her teammates earned a gold medal in basketball in the 1995 Senior Olympics. Mrs. Crews served as a volunteer at Chateau Notre Dame and as a Eucharistic Minister in both New Orleans and Pensacola Beach, FL. Joyce Lafaye Crews will be greatly missed. She left an indelible mark on the many lives she touched. She was extraordinarily blessed with an unparalleled capacity to live and love. May she rest in peace for all eternity. A Funeral Mass will be held on Saturday, February 9th at 2:30p.m., preceded by visitation from 1:00p.m. to 2:30p.m. at the National Shrine of Our Lady of Prompt Succor, 2701 State Street in New Orleans. Following the service, friends are invited to attend a Celebration of Life at the home of John and Marie Crews at 6661 Bellaire Dr. in New Orleans. In lieu of flowers, contributions can be made to the National Shrine of Our Lady of Prompt Succor at https://www.shrineofourladyofpromptsuccor.com/support-our-shrine.